Die Lage ist kaum zu übertreffen. Direkt über dem Mittelmeer gelegen, in absoluter Ruhe, da keine größere Straße in der Nähe verläuft (daher etwas schwierige und lange Zufahrt durch Olivenhaine, die aber auch ohne Offroad-Fahrzeug zu bewältigen ist). Die Zimmer sind sehr hell und geschmackvoll eingerichtet, die Ausstattung der Küche ist zweckmäßig und sauber. Wer eine Luxusunterkunft erwartet, ist hier allerdings fehl am Platz. Dafür gibt es einen Vermieter, der die Gäste herzlich empfängt und dabei nicht nur ans Geld denkt. Viele kleine Extras, die sonst zusätzlich bezahlt werden müssen, sind inklusive: z.B. 2 Mountainbikes für die Gäste oder auch 2 Waschmaschinen, die kostenlos genutzt werden können. Résidence de 4 villas très au calme (voiture indispensable), dans un parc très bien entretenu. Joli terrasse avec vue magnifique sur la mer. Plage à 4 minutes à pied. Eau claire magnifique, pente douce, sable. Mais plage étroite avec mix de sable et galets. Шикарные виды, тихое, спокойное размещение, на кухне есть даже соковыжималка)) Очень приятный хозяин. Большое ему спасибо за отдых! 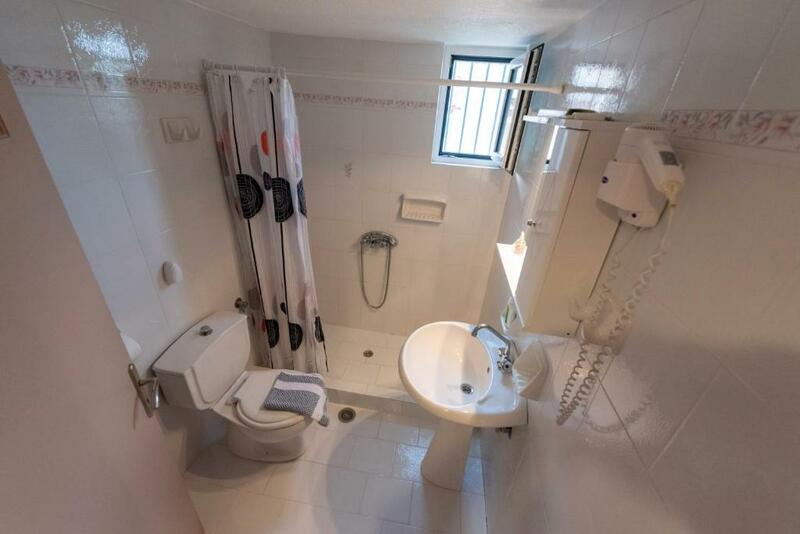 Appartamento ampio con due camere da letto , una cucina arredata di tutto il necessario, una zona giorno. Davanti si apre una magnifica veranda attrezzata con tavolo e sedie, da dove lo sguardo spazia sul mare sottostante. 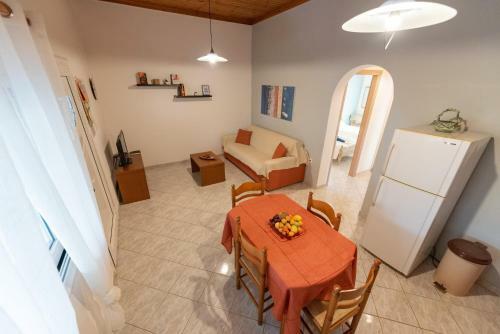 La casa è molto confortevole e dotata di aria condizionata. Bello e riposante il giardino circostante, molto curato. Un sentiero scende al mare in pochi minuti a piedi. 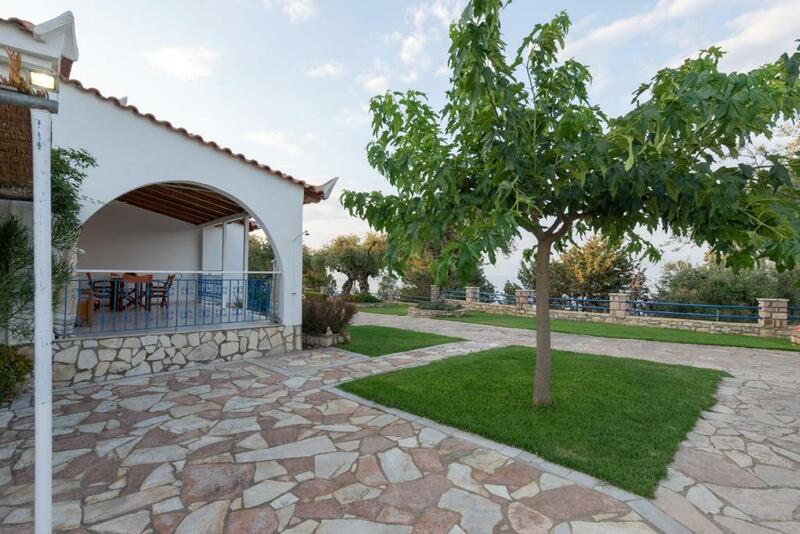 Lock in a great price for Villa Tasos Koutsoubos – rated 9.5 by recent guests! Within 1,000 feet from Gargarou Beach in Messinia, Tassos Apartments offers self-catering accommodations with free Wi-Fi and views over the Messinian Gulf. 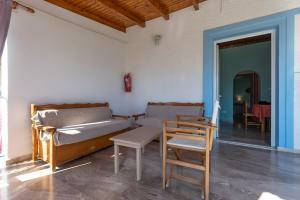 It is set amid an olive-tree garden with sun terrace and BBQ facilities. 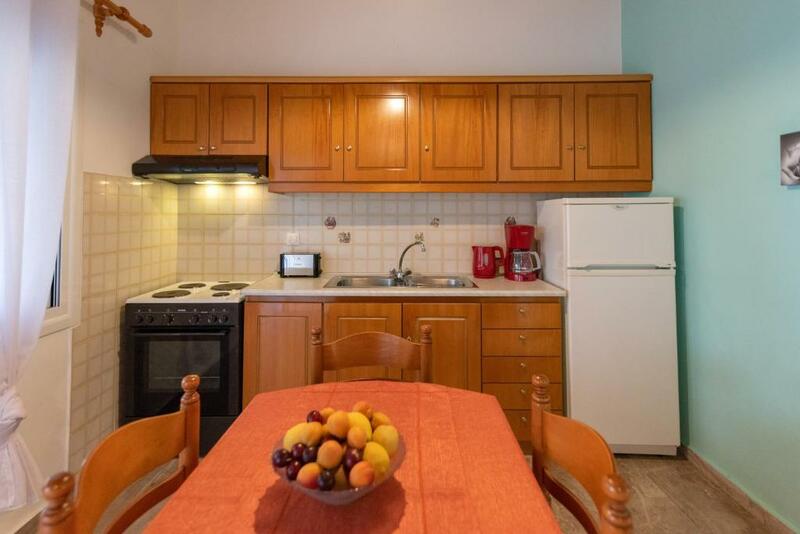 Opening to a furnished balcony, the apartments of Tassos have a seating area and a fully equipped kitchen with dining area, fridge and stove. 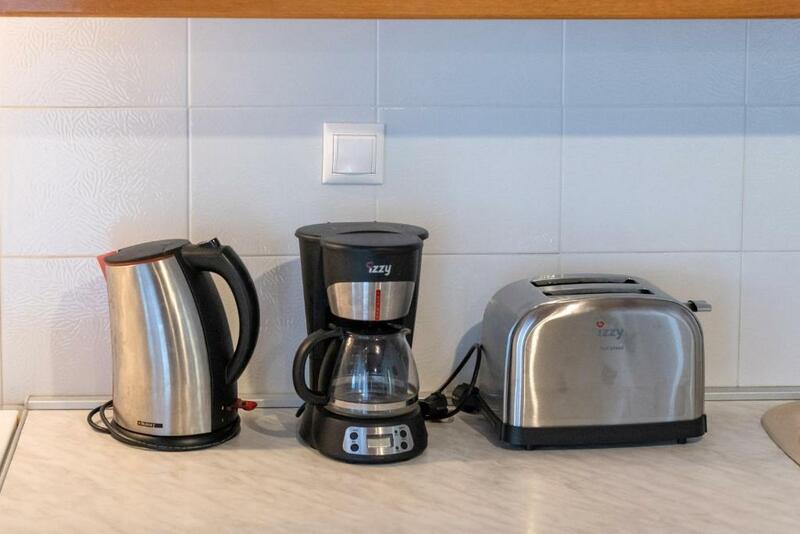 Facilities include air conditioning, a fan and a flat-screen TV with satellite channels. 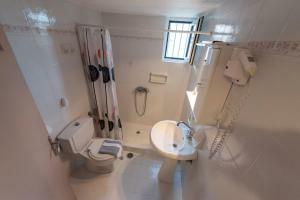 The bathroom comes with shower or bath tub and free toiletries. 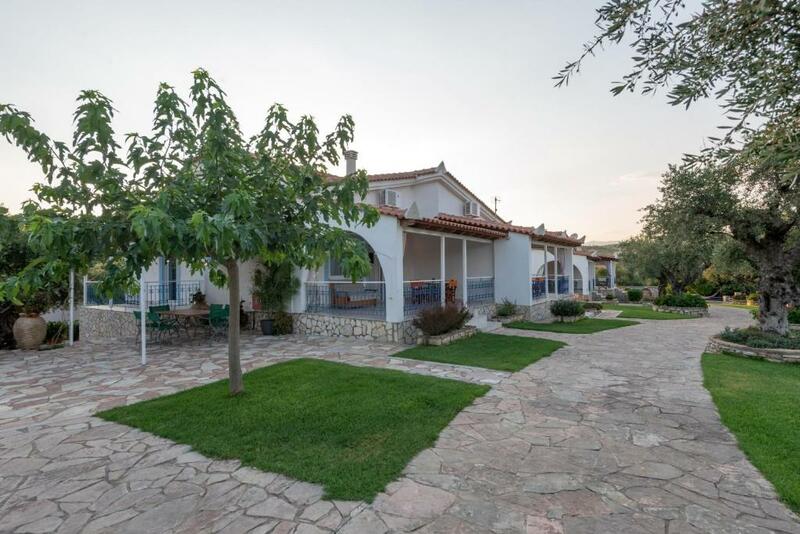 Guests will find a variety of taverns and mini markets at the center of the scenic Koroni, within 4.3 mi from the property. 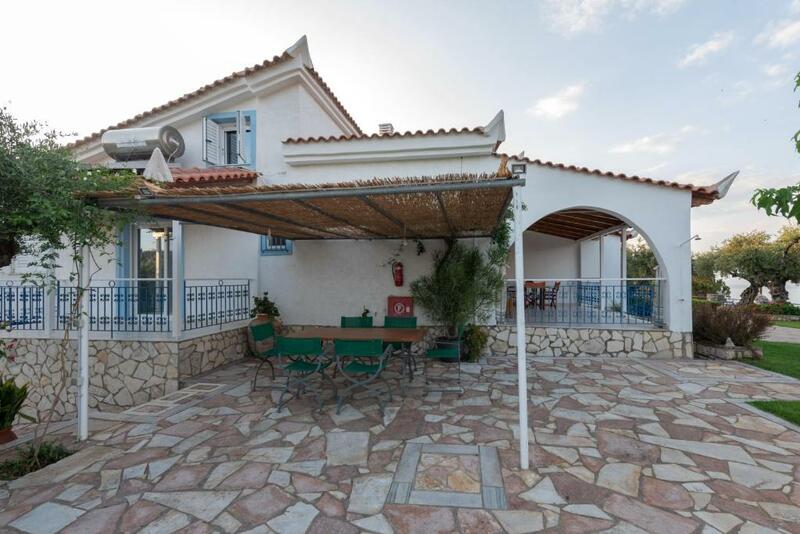 The seaside Foinikounta is 9.9 mi away, while Pylos Town is at a distance of 22 mi. Free on-site parking is possible. When would you like to stay at Villa Tasos Koutsoubos? This air-conditioned apartment opens to a furnished balcony overlooking the Messinian Gulf and the garden. It has a seating area and a fully equipped kitchen with dining area, fridge and stove. A fan, a flat-screen satellite TV and free Wi-Fi are available. House Rules Villa Tasos Koutsoubos takes special requests – add in the next step! Villa Tasos Koutsoubos accepts these cards and reserves the right to temporarily hold an amount prior to arrival.